There is nothing wrong with how you want to play this. If they want to have a chat or make bargains, let them. The trick is in roleplaying and making it interesting. For example: When I playtested my scenario 'Toil in the Fields' (it is in Golden Goblin Press's Tales of the Caribbean), I had to play Tsathoggua. Tsathoggua's mannerisms were very lazy and bored with the whole thing. Cause frankly, these investigators weren't here to bargain or seek magical power or feed him. They were an annoyance so I played him as much. Also I would break into a lazy long cat like yawn while talking to the investigators. Another one involved the investigators dealing with Y'Golonac in human form. I would purposefully try to not blink. When an investigator pointed this out, I did a very obvious blinking motion. Pesky human habits. Nyarlathotep I usually play as a sneaky devil or lawyer. Think the Devil's Advocate. Other options might be a thunderous voice from the clouds (Yog-Sothoth), or maybe a sense of a feeling (Cthulhu's dreams) where you get the impression of the Great Old One's command. Could be even weirded like strange sounds or flashing colors. Just make it memorable. Hey all, So some of you may recognize me as your resident (and perhaps I am being too generous with that term) Elder Thing enthusiast. I am running into a problem more and more often with my group. I cannot roleplay Lovecraftian deities correctly! Let me preface this by saying even though we've been playing CoC for nearly a year now, we came from Pathfinder and I think that still paints a lot of the group's actions. I know that the GOOs and Outer Gods are supposed to be uncaring at best, and actively malevolent at worst. And I know that the PCs encountering them should have... bad consequences, to say the least. However, despite my best efforts, I am not doing a good job of portraying the gods as such. While my players haven't complained and I doubt they really care, I feel that I am doing them a disservice. My problem is that I always make the deities too "human." Part of this comes from the fact that I just find it more interesting seeing my players actually interact with these powerful beings, rather than just being squashed by them. I let them chat, I let the investigators ask questions and bargains of them, I allow just about any normal human interaction to take place (provided they can make their SAN rolls!). And this is just wrong. This is not the game where you can sit down and have a friendly chat with Abhoth or take tea with Atlach-Nacha. I think part of the problem is I'm not entirely sure HOW to roleplay these gods correctly. So can I get some tips or any advice from you guys? 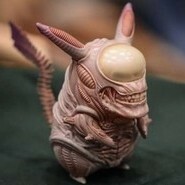 Any ideas on how I can avoid "humanizing" these creatures? Or how I can perhaps dehumanize them further? Thanks! It's possible to do US to non-US shipping cheaply, but only if your project is huge. Then you can get a shipping partner in the destination area, and ship them pallets of boxes (at bulk freight rate, and bulk customs clearance), and they send out the individual copies. But the break-even in cost doesn't happen until you've got a full pallet at the very least, and preferably a full container. I noticed they're not shipping physical copies outside the USA. Alas I can understand why (costs go ever up no matter how you try). Evil Hat has already reached its KS goal and still some four weeks to run. Speaking of the cultist aspect specifically, there's also the MULA Monograph, Dark Mirror. There was an interesting Kickstarter idea from Cubicle 7 and Make Believe Games Back in 2017 called Sigil & Sign where you play cultists and hybrid-monsters. It’s running a year or so behind schedule (because reasons) but I think the concept was sound. There’s rivalries between the traditionalists and the mavericks within your own cult, other cults who are after the same tomes as you, adapting to mutations, the unknowable God that you worship and those pesky New England professors who turn up to set fire to everything you hold dear during important ceremonies. Like Hastur, if you say our name often enough, we appear. Good suggestions all around. Indeed, if you're using Arkham as a base, I do recommend issue #1 of the Arkham Gazette, which is all about Arkham and, most importantly, includes a list of all the published scenarios set in Arkham. https://www.drivethrurpg.com/product/172263/The-Arkham-Gazette-1 This should be a helpful time-saver in developing scenarios. The other issues have Arkham-related content (issue 3 for example has a sprawling scenario set therein) but are probably less essential. If you've not seen it, Chaosium's new 7th Edition Starter set includes the scenario "The Edge of Darkness" which is set in Arkham and serves as a start to a campaign, if you're in need of a good scenario to do that. If you have an specific Arkham questions, you're in good hands here on YSDC. When in doubt, shoot me a PM and I'll see what I can find. You might want to check out Servants of Chaos, a homebrew that I played in as a play-by-post where the PCs were all Mythos creatures (I played a Deep One). We changed Keepers in midstream, as the original creator disappeared mysteriously. Fortunately, the new Keeper was able to finish the scenario. He didn't know where the original Keeper was going, but he did a good job going his own way. Genius Loci: thoughts, suggestions, etc. These are all great points! Thanks a lot! I had some similar thoughts about this one. I’ve run a lot of CoC over the years, so I didn’t feel a need for an introductory scenario. At the same time, I felt that at least some of the scenarios had loads of potential if they were given room to breathe and had a little more hair on them. You have some terrific things for me to consider here. Thanks again! Cheers all, your words are very appreciated. I'm very lucky to have a diagnosis, even if the cure if smearing ichor on my chest every morning. But it's a slow road. I add my voice to the chorus of recommendations for Graham Walmsley's "Stealing Cthulhu" - it's a fantastic little guide to getting inside Lovecraft's head to come up with new ideas the way he did, rather than merely copying and reusing the ones he already created. It really gives you a great new perspective on all the usual Cthulhu nasties and stories, it's one of the rare "story prompt" products that teaches you how to fish rather than simply giving you a list of sample fish to choose from, and it's one of those rare "how the sausage is made" books that don't take all the awe, mystery, fun and excitement out of the topic it dissects. 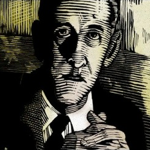 If you're new to Lovecraft and the Cthulhu Mythos, it's probably the best shortcut I could imagine to getting into the right spirit of things and creating your own story ideas, fast. Hmmm, you could take a favorite scenario and “flip the script.” Instead of investigating mysterious disappearances and odd phenomenae your monster player-characters could be sneaking around town seeking the Chosen One, an unwitting human hybrid who will soon “monster out” and lead their people to glory. If they find potential sacrificial victims (or dates for Friday night) along the way, so much the better. The problem with this approach in Cthulhu as opposed to Chill or Tunnels & Trolls is that cosmic monsters are supposed to be mysterious, their goals and motives incomprehensible to mortal men. A vampire wants to get it on with the cutest gal (or guy) available, werewolves are always hungry, mummies seek the latest incarnations of their lost love, invisible men want to rule the world, mad scientists want to show those fools they were right all along, and orcs just wanna have fun. But a Mi-Go or dimension shambler? Who knows what they want or why they do what they do? Occasional news and information, straight to your inbox. 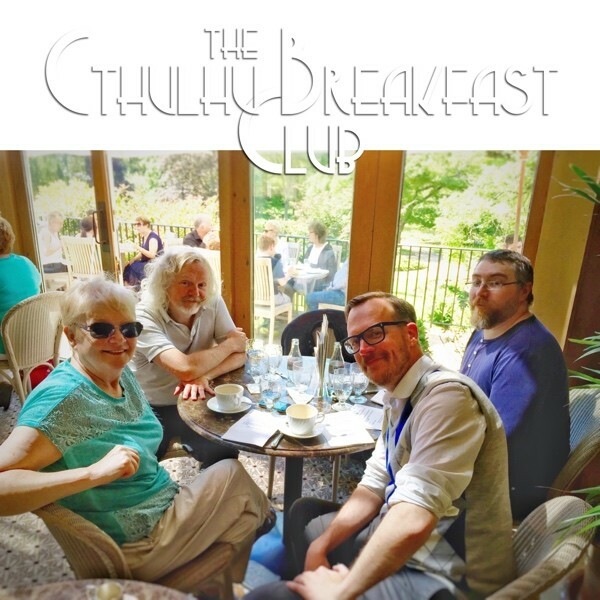 April edition of The Cthulhu Breakfast Club, with copies of LØVECRΛFTIAЙ to give away. 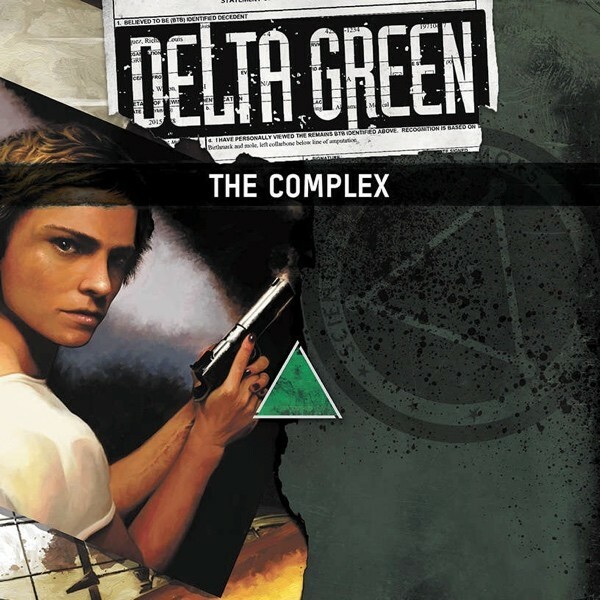 Delta Green: The Complex, for the Delta Green RPG.